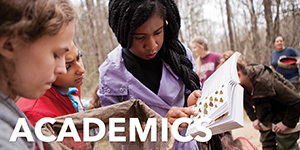 Unlike at other colleges and universities, students completing their undergraduate degrees at the College of Charleston do not wear robes or caps for the spring commencement ceremony. Instead, students wear white dresses or white dinner jackets each spring at graduation. 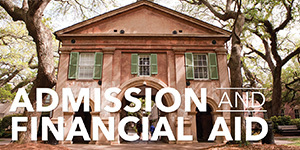 For decades, this annual tradition has taken place in the Cistern yard, where ancient live oak trees draped with Spanish moss set the stage and the College's oldest building, Randolph Hall, provides a fitting backdrop. December graduates participate in an indoor ceremony, and the dress code is black tuxedos for men and black dresses for women. 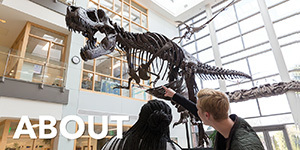 Convocation is an annual celebration at which students and faculty gather to celebrate the official opening of the scholastic year. Originally, “convocation” denoted a gathering of the clergy or the divisions of a diocese; however, today, the word and the event have evolved from their ecclesiastical roots to embrace the intellectual community as well. 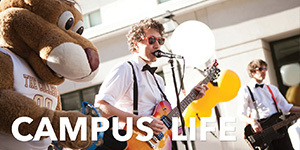 The College’s convocation welcomes new students to the liberal arts and sciences community and encourages them to consider their own intellectual journey. This occasion also serves to familiarize incoming students with the College’s academic traditions as well as the institution’s history, symbols and mottos. Students at the College of Charleston pass through the arch at Porters Lodge on their first day and enter the Cistern Yard to officially sign "the book." Inscribed in Greek on the arch are the words "Know Thyself." Upon graduation in the spring, students exit the Cistern yard by passing underneath the same arch and out into the world. Any student who has completed at least 60 hours at the College may purchase the College of Charleston school ring. The Ring Ceremony is held during Family Weekend each year and any student who has purchased a ring will be invited to attend. The history of the ring design is fascinating. Information for ordering rings is posted on the CofC Alumni website. Hail to thee, our Alma Mater. Hail to thy time-honored name. May we never bring thee shame. Strive to conquer and prevail. College of Charleston, hail, all hail. 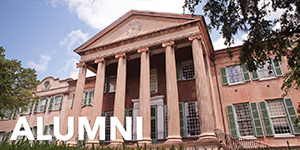 The seal of the College of Charleston is derived from the City of Charleston's seal, which was adopted in 1783. The College's seal was approved by the Board of Trustees in 1843 and features the Latin phrases meaning, "Wisdom Itself Is Liberty" and "She Cares for Her Temples, Customs and Rights." The woman seated holding the scepter is described as a personification of Charleston herself, and evokes an image of the city deriving its livelihood from the sea and prepared to defend itself. She is shown presenting a laurel wreath to a young man holding a diploma in front of "Main Building," – today's Randolph Hall (before its expansion in the late 1800s). 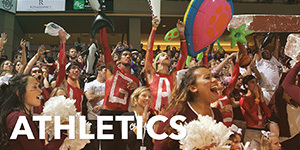 The official College of Charleston colors are maroon and white, and black is used as an alternate color. 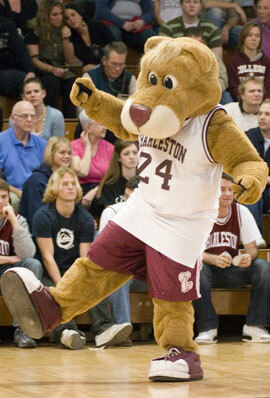 The cougar is our mascot, and Clyde the Cougar can be seen at basketball games and other athletic events.